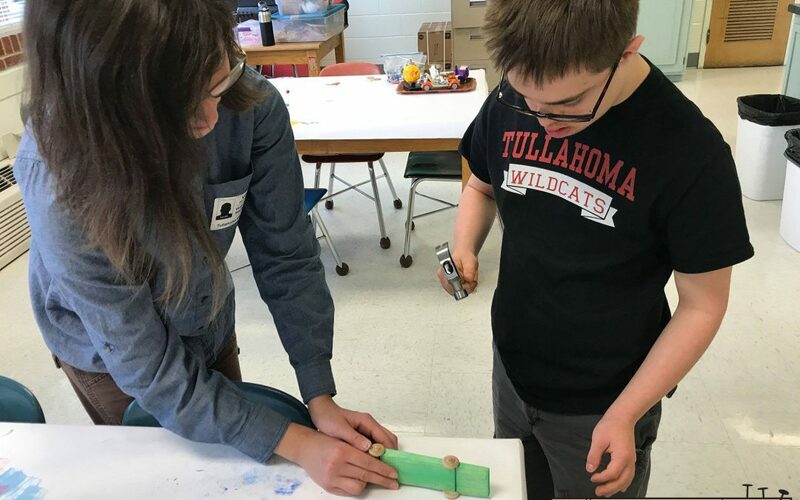 Thanks to a contract from the TN Dept of Education, Borderless Arts is able to offer Artist residencies in special education classrooms across the state. These residencies support math and science concepts. This school year the focus of the residencies is space. This past week, a residency was completed by artist Jennie Harriman at Tullahoma High School.